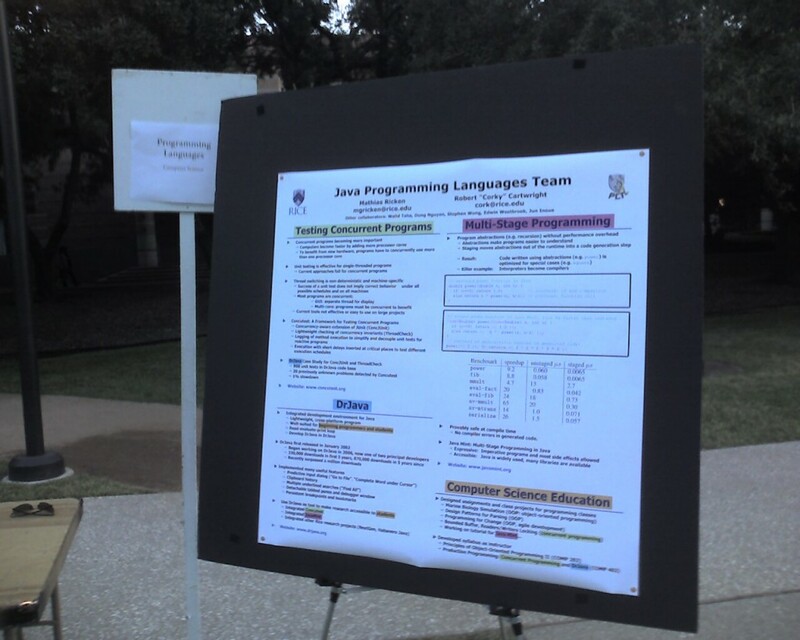 I’m glad that I went to the Graduate-Undergraduate Research Mixer organized by the SA and GSA at Rice with my poster today: I was the only computer scientist there. 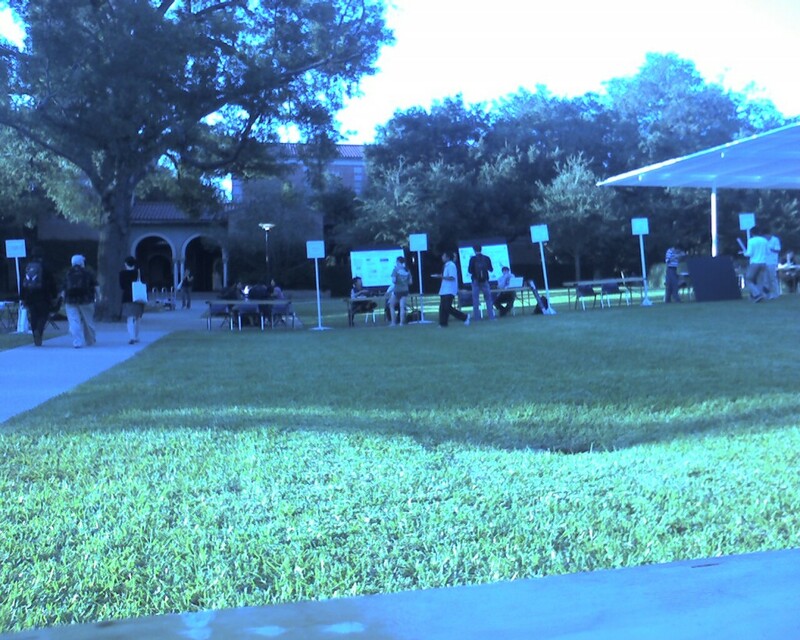 The Central Quad started to fill up a little after 6 PM, and I had interested students standing by my poster and asking questions for about an hour. I was able to do some good advertisement for computer science in general and the programming languages group in particular. I think making DrJava a centerpiece of several research projects, which Corky and I have begun to do, is a good strategy. I told students they can work on DrJava and use COMP 402 to fulfill their BS CAP requirement and get involved in Habanero Java, for example, if they are interested in parallel programming. Hopefully we’ll have some undergraduates in our production programming class next semester, or students interested in independent study. This entry was posted in DrJava, Pictures, Research. Bookmark the permalink.